MCA is a unique motor club serving the United States, Canada, and Puerto Rico. MCA offers 24/7 emergency roadside assistance plans, membership discounts, and the most reliable service in the auto club industry. With over 86 years of experience, we know how to provide the best in customer care while offering a variety of options that best suit your individual needs. Our vision is to continue providing the best services at affordable rates to our members. We will continue to set the standard for quality in the motor club industry. Our winning culture defines the attitudes and behaviors that will be required of us to make our 2020 vision a reality. By constantly listening to our members, we will learn and quickly adapt to changes in the market in order to constantly improve our portfolio of useful services. Motor Club of America was founded by Mr. William W. Green, who was born in 1900 in Atlantic City, NJ. In 1926, Mr. Green became the Chief Executive Officer of Motor Club of America (and its former subsidiary Motor Club of America Insurance Company) up until 1986. During his tenure with Motor Club of America (MCA), William Green along with his family continued to grow Motor Club of America within the United States of America. Virgil Coffee, a Texas native, began his career in the Motor Club business as well as marketing in the 1960′s. Virgil Coffee was the marketing arm for Pre-Paid Legal and wrote the marketing plan that propelled the company to a success. Virgil Coffee also had a backround in the sporting good industry, and co-owned 5 retail stores throughout Texas. Virgil Coffee sold his share of the company and moved to Oklahoma to sell memberships for another Motor Club company. During his seventeen year tenure with that company, Virgil worked his way up to the Presidency of that company, but eventually in 1987, Virgil Coffee started his own company known today as TVC Marketing Associates, Inc. The company continued to grow over the next 25 + years. TVC stands for “Truckers Voice in Court, which did just what the name implies. TVC provided court representation for truckers in motor related incidents. Virgil Coffee also worked for Pre-Paid Legal Services (currently known as Legal Shield) through his company TVC Marketing. Through his tenure (7 years), his marketing techniques created a 4 digit percentage gain in earnings for his company. His years of experience with marketing and providing products for automotive customers led him to continue the legacy of Motor Club of America. The TVC Pro-Driver packages have been available for decades for truckers, and over time the focus was developed for the common motorist. This continued to grow to provide services not jut related to the typical roadside assistance, but more benefits were added including travel assistance, discounts, emergency room cost assistance, credit card protection, legal services, and much more. 2011 – A specific set of packages were developed in 3 levels known as Security Memberships. These memberships (MCA Security, MCA Security Plus, and the flagship membership, MCA Total Security) had an increasing number of benefits available for all residents of the United States, Canada, and Puerto Rico. These packages provide services as well as an affiliate referral program which give Sales Associates of the company an opportunity to earn referral bonus income for bringing business to the company. In September of 2012, more benefit plans were released. Our Total Security Gold and Total Security Platinum plans we're finally released to the public, and are the newest edition to Motor Club of America. These plans provide even more benefits to our original Total Security plan such as additional legal benefits and auto related service discounts at over 6,000 auto repair and service centers nationwide. These discounts range from 10% to 50% off. The Total Security Platinum Plan also offers additional medical discounts. To conclude, the origin and summary of the organization, Motor Club of America and TVC Marketing are cooperative joint ventures. David Kircher is the President of Motor Club of America, and Virgil Coffee is the President and owner of TVC Marketing Associates, Inc. 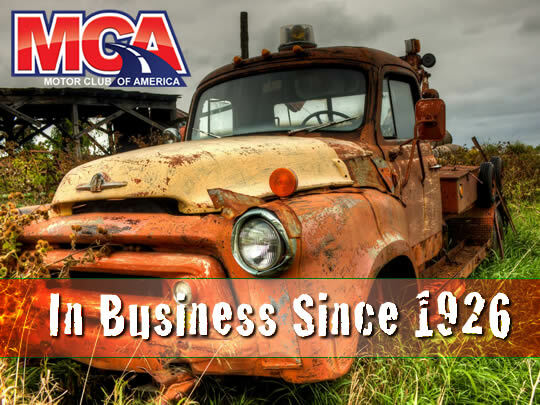 The combination of both organizations, along with our Independent Contractor position, which has thousands of people working from home, has taken MCA and TVC to new heights in the Motor Club industry. I’ve locked my keys in my car and I've had two flats on the side of the freeway. MCA has saved me bigtime. Love them!